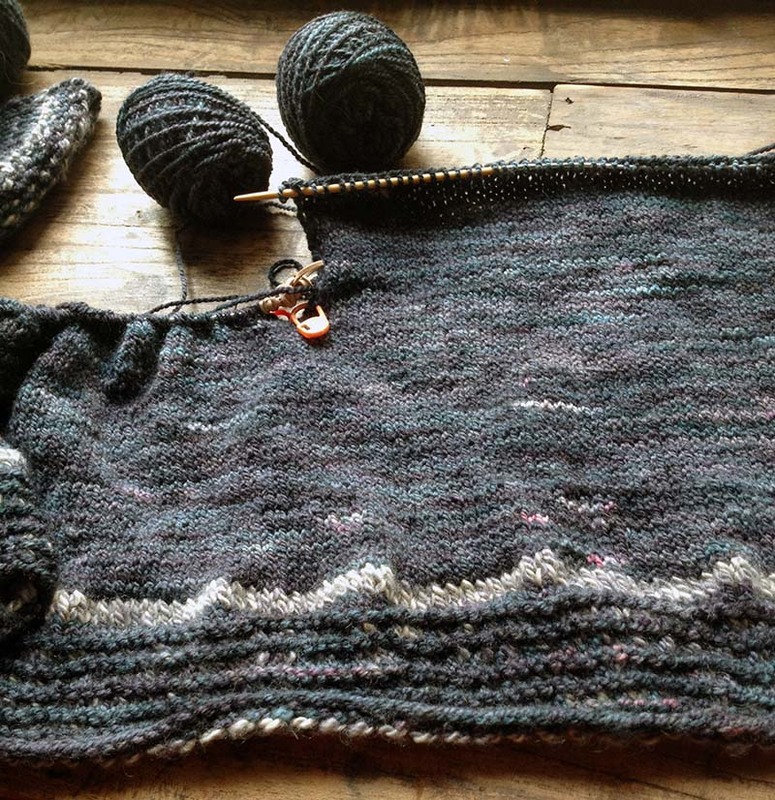 I'm down to two active knitting projects! It's been a while since that happened last. Of course, they're both gigantic projects on tiny needles (tiny for me, anyway - size 2 and 3! ), and I've got that start-itis itch. The Noro sock yarn I picked up in Japan is definitely starting to call my name. But.... but.... there are samples that need to be made up for June and July kits, so I'm resisting the urge at present. We'll see how long I can hold out. Gifthorse Hoodie - no progress this week. Sherpa Jacket Sample - this gorgeous sweater has had my full attention for at least an hour or two every day. I love the yarn (my Helix DK, in Graphite), and this is my kind of sweater - really easy to knit, but with a clever construction that makes me want to get to the next section. I can't wait to see how it turns out. I'm hoping this is going to be my go-to fall sweater.